Let’s give these photos some captions – add you suggestions (photo number, caption) below. 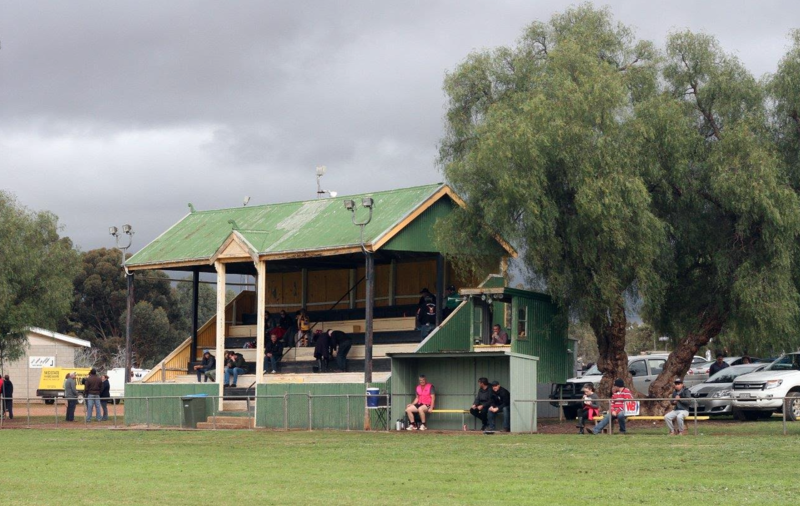 Peter Argent (@argentphatsnaps) took his camera to some rural football at the Wirrabara Oval on Saturday. Three hour drive from the Big Smoke to get there. 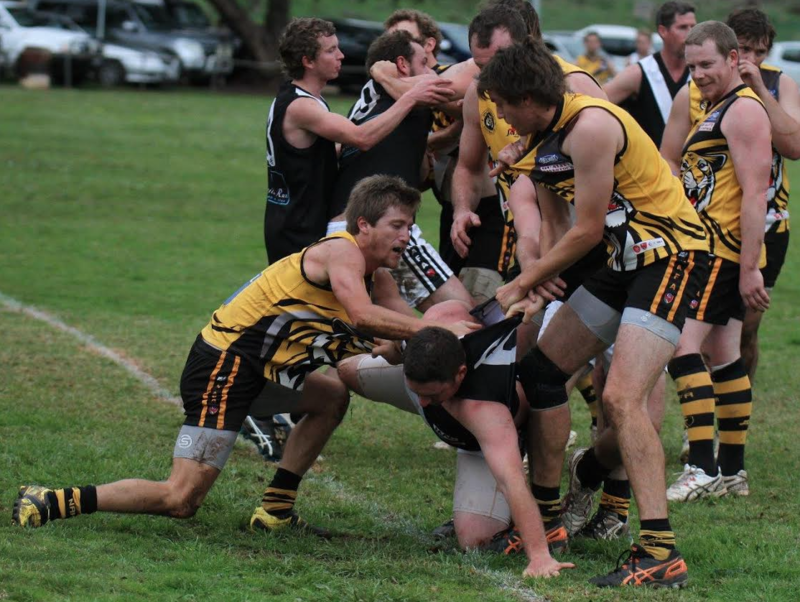 Southern Flinders Tigers v Peterborough Jamestown Magpies in the Northern Areas Football Association. 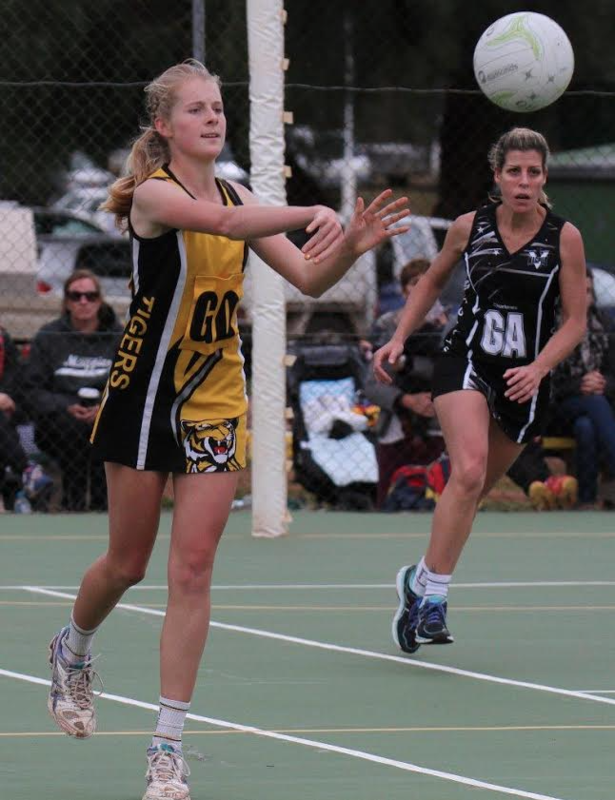 Wirrabara-Laura became Southern Flinders in 2002. 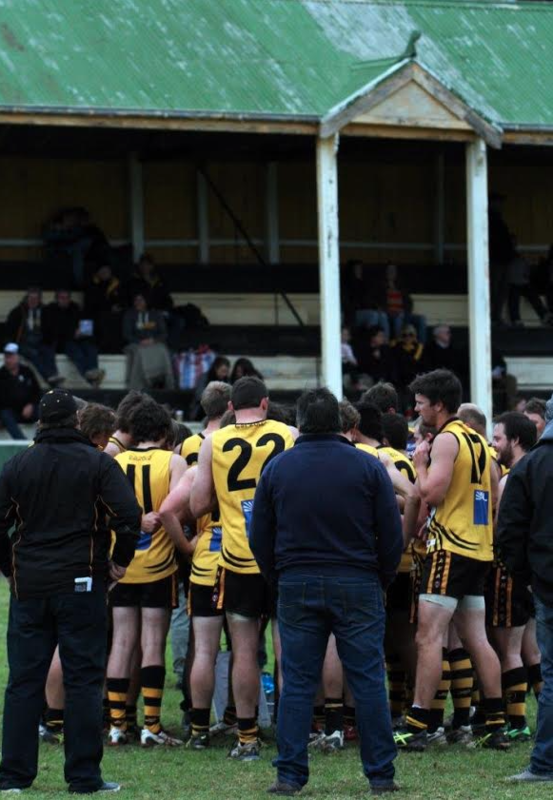 They play a small handful (2-3) of games at Wirrabara each year. Thanks to Peter Argent. 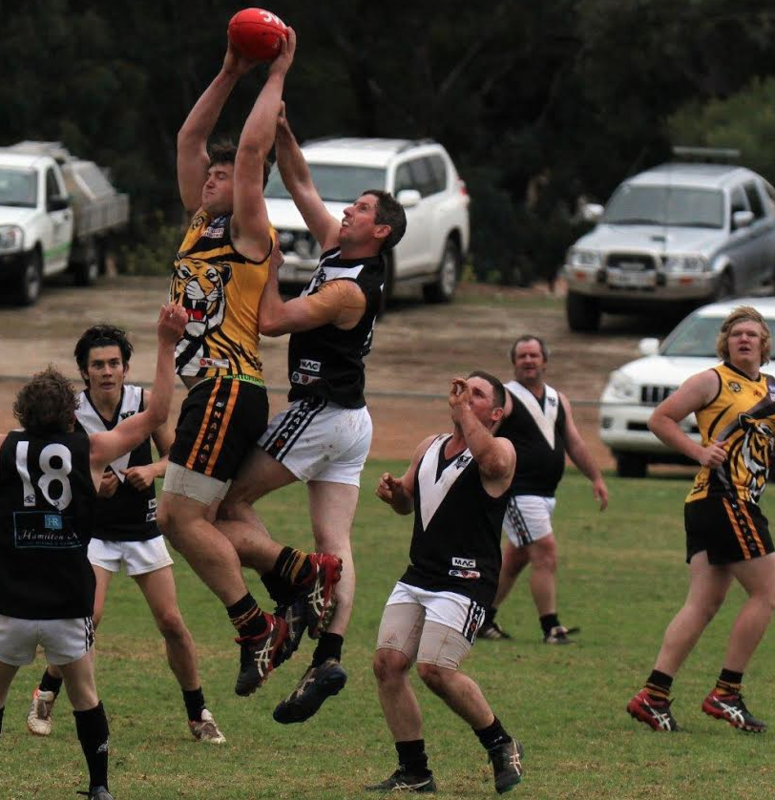 Thanks too, to Lawrie Colliver and his fantastic South Australia Country Footy site. Peter- I love the last photo: the grandstand and the pepper tree. 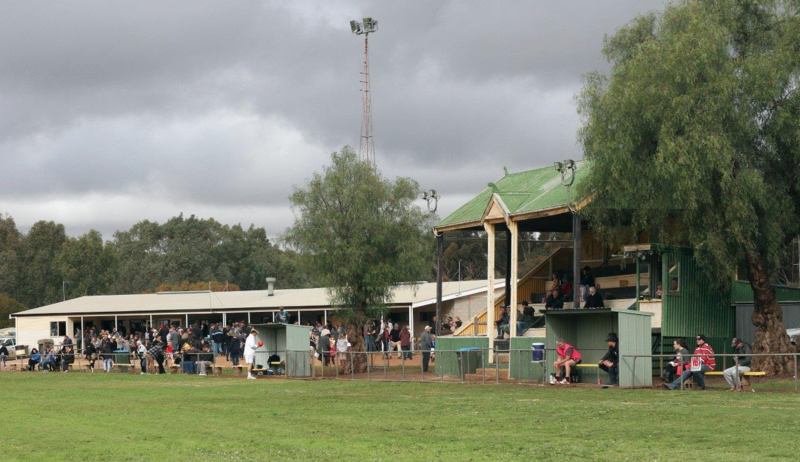 Just as Vin has pursued scoreboards I reckon there’s a similar opportunity in collecting and publishing photos of grandstands; especially older ones in the country. Mickey – I love that one, too. 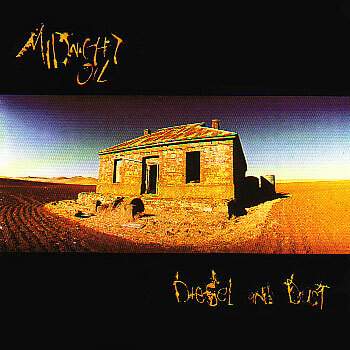 The angle of the shot reminds me of the Diesel and Dust cover image. That’s my caption idea. Photo 11: Diesel and Dust. 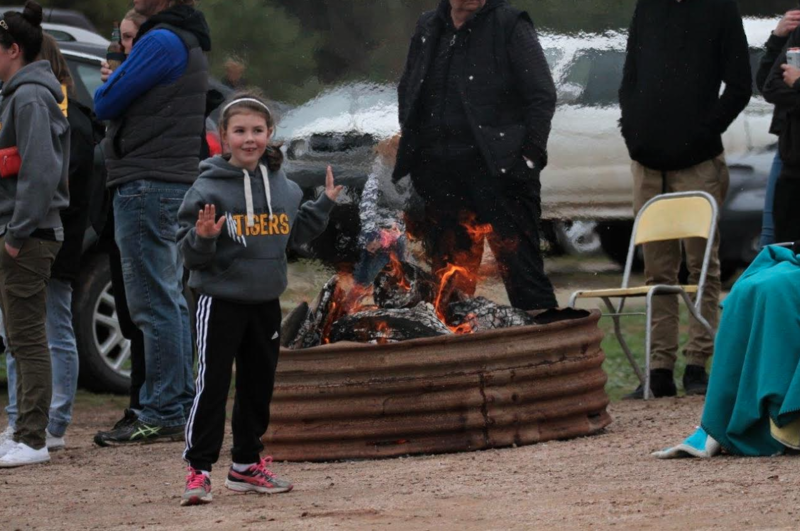 Photo 04: Finals hopes go up in flames. Great photos PA. So evocative of time and place. Good to see you got the thumbs up from David Hayes (#7). Maybe Crio can explain what he was doing at Wirrabara instead of Flemington. Photo 08 is a classic: Symmetry in motion. 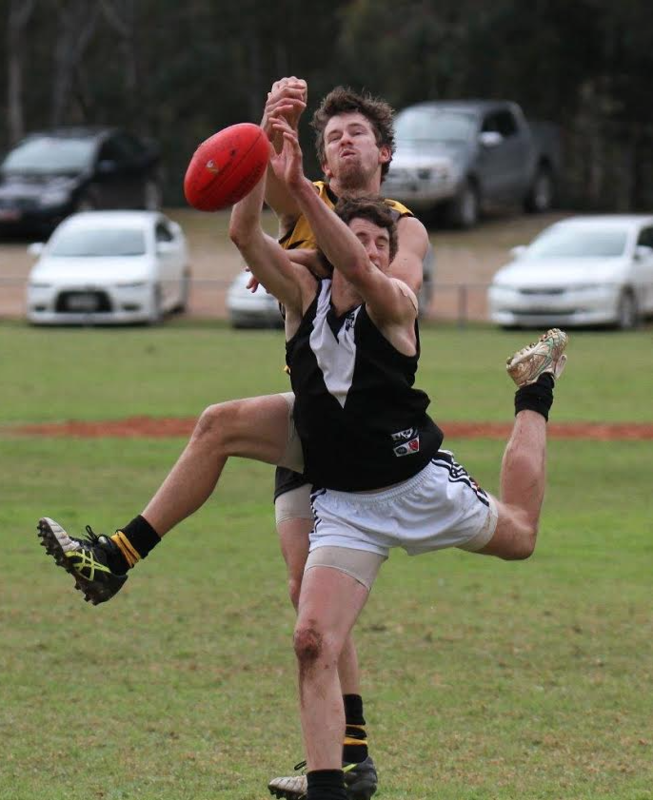 Textbook play from the Magpies player in front reaching for a mark with arms outstretched while the Tigers player clenches a fist to punch from behind, both pivoting on their right legs. Have you ever seen the book “Beyond the Big Sticks” by Paul Daffey & Ian Kenins? It contains a great array of footy-themed photos. Great photos and it is a lovely footy ground (had a stickybeak during Easter). Despite having a relatively new scoreboard they still have all the old numbers in the little attached shed. Photo no. 8 looks like a choreographed “contemporary dance ” move. Congrats to the snapper for perfect timing. Good tip Smokie. Thanks for that. 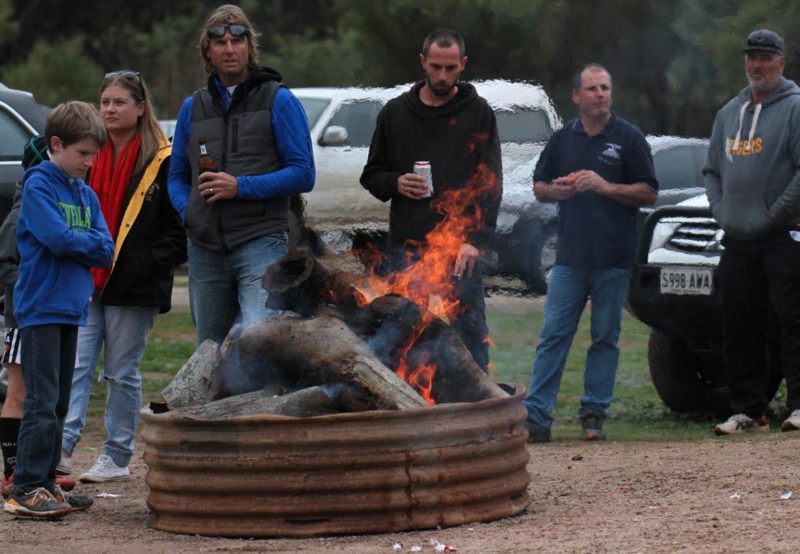 Plenty of wool growers on show at Wirrabara on Saturday. 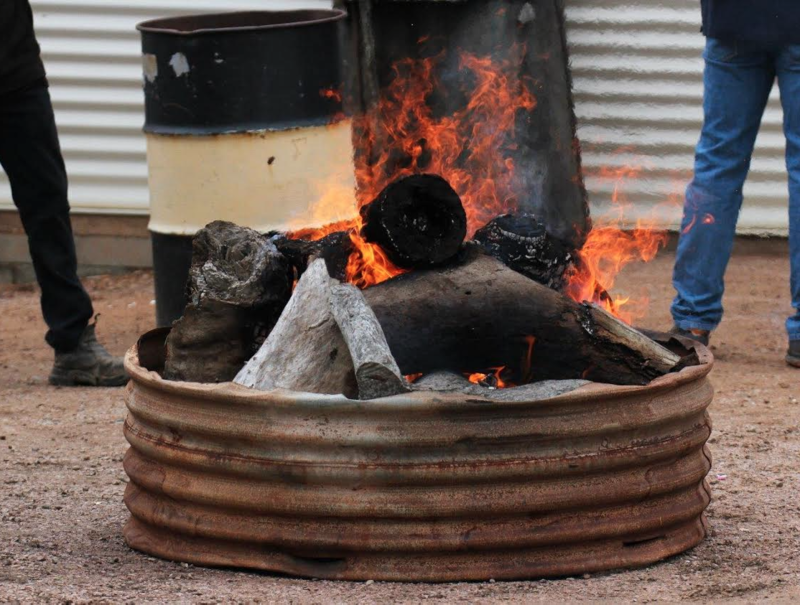 A cold, overcast, damp winter’s day in the Flinders Ranges. Thanks to Peter for not putting up a photo of the boundary umpire, much appreciated. The feature photo #8 is of local Shearer and Wool Grower Dan Porter (who’s property neighbours the Bundaleer Forrest) in the Jamestown/Peterborough Magpies jumper. He did a top job shearing some ewes for my brother recently. 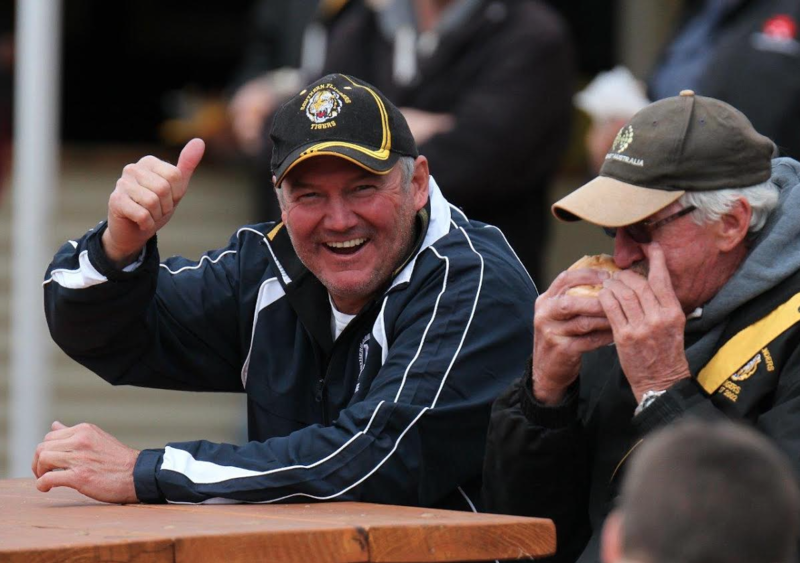 Our man with the thumbs up is local Bush Bradman Brett “Beetle” Murdock, legend of the Wirrabara/Murraytown Cricket Club and the Rocky River Cricket Association at the annual Country Cricket Carnival in Adelaide. In winter you’ll find him coaching Junior Footy, umpiring A Grade matches and supporting some black, teal and white coloured football team. 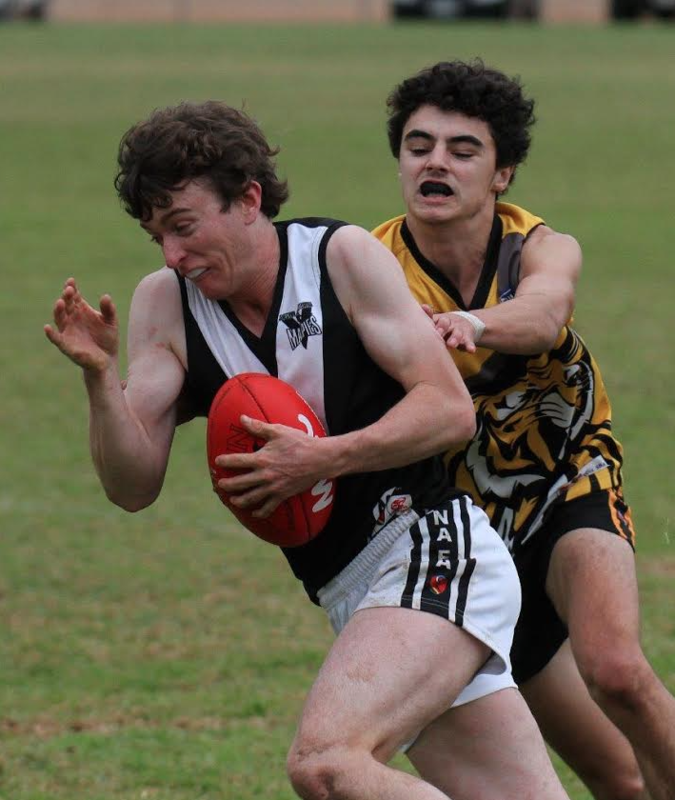 The Magpies defender in picture 10 is local wool/grain grower and Toyota mechanic David McCarthy. His family used to neighbour former Jamestown based shearer, turned 5 time Logie award winner, turned inaugural Brisbane Bears President Paul Cronin.